Forces loyal to one of Libya's competing authorities said they had seized control of the main airport in Libya's capital Tripoli on Saturday, two days after their commander ordered his forces to seize the seat of Libya's UN-backed government. Pro-GNA forces spokesman, Colonel Mohamed Gnounou said a "counteroffensive" had been launched, adding that Operation "Volcano of Anger" had begun "purging all Libyan cities of aggressor and illegitimate forces", referring to Haftar troops. "We have formed an operative staff including units of the armed forces and the interior ministry". The temporary U.S. pullout, after evacuations by other countries and worldwide businesses, underscored the fluid and tenuous environment in the country three days after a renegade commander from eastern Libya launched an offensive to seize Tripoli. The Kremlin said on Friday it was not helping Libyan military forces loyal to eastern commander Khalifa Haftar push westward and that it supported a negotiated political settlement to Libya's problems that ruled out any new bloodshed. Field Marshal Khalifa Haftar, whose forces are battling to seize the capital Tripoli, is widely seen as a hawk hunting for greater power in violence-wracked Libya. Clashes between the rebel and pro-government forces have been reported from several parts of Tripoli. In the renewed fighting, forces backing the GNA have launched air strikes on the LNA around 50km south of Tripoli. 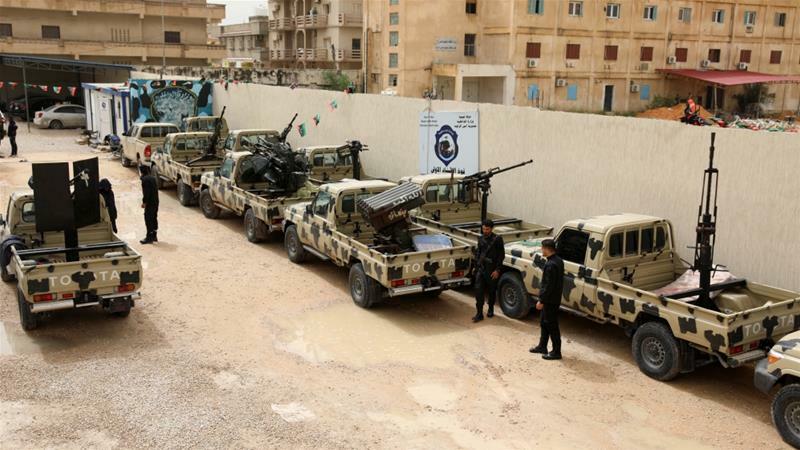 As clashes raged in the mainly farmland region of Wadi Raba and the disused worldwide airport south of the capital, a spokesman for pro-GNA forces said a "counteroffensive" had been launched to push back Haftar´s forces.